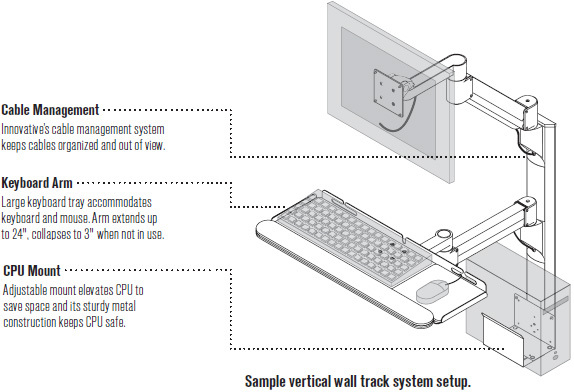 Innovative 8326 Vertical Mounting Track provides an extremely space-efficient method of elevating your entire computer system. 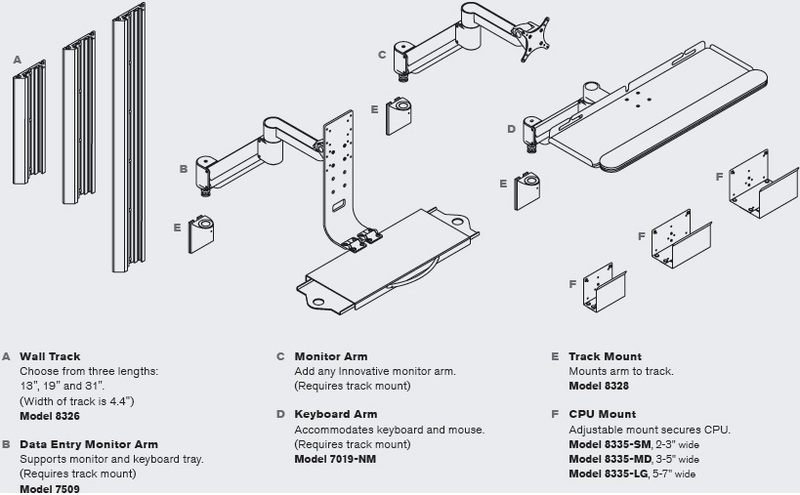 This configurable solution can be customized to meet your needs - incorporate flexible LCD arms, keyboard arms, even a CPU holder. Cables are routed through track, and hidden behind a cable channel. Mounting system is available in standard length of 13"